Zip fly with button and shank button over. Foldaway holster pockets with multiple compartments. Two rear pockets - right with flap. 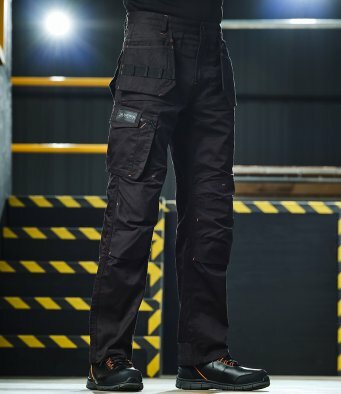 Branding on rear waistband, cargo pocket and rear pocket flaps.